Here are the polishes and plates my sister gave me for Christmas this year. 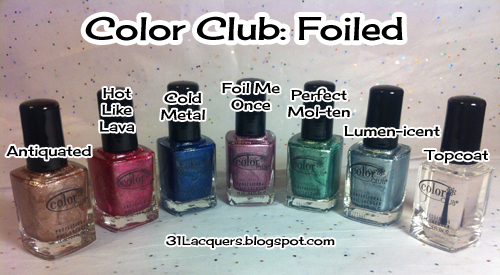 I got three sets from Color Club: "Back to Boho," "Beyond the Mistletoe," and "Foiled," and one set of no-name polishes from a brand called Pretty Woman. 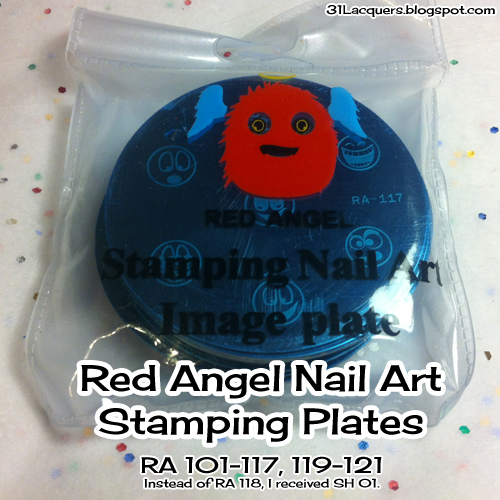 I also got a set of 21 new nail stamping plates from Red Angel. I love those new polishes, but I am most excited about using the new Red Angel nail art stamping plates, which you can buy for around $12 from Amazon.com. 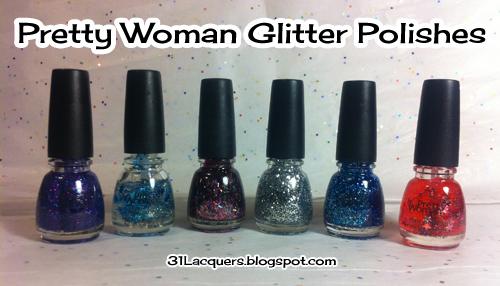 What sorts of nail polish goodies did Santa bring you this year? Santa brought me more Shellac, OPI Muppets, OPI Jewel Case, Chip Skip (fantastic by the way! ), and a super-size Solar Oil. 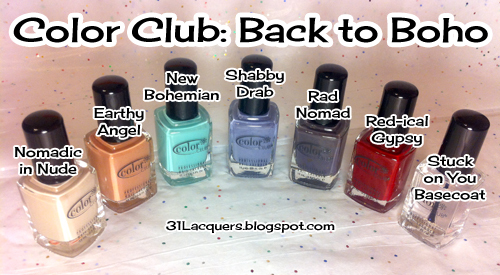 Hello, new follower here :-) Your new polishes look lovely! Hope you have fun stamping with them and your new plates! i love the beyond the mistletoe set very pretty!! !